Over the last 18 months, initial coin offering (ICO), an unregulated method of raising funds, has gained popularity. This is because startups with innovative ideas opt to raise capital for their blockchain projects through ICOs. Backed by enterprising and innovative developers, startups are developing solutions to problems in different sectors. Examples of such projects include Bitque, an ICO project that enables traders to generate hedge trades on the short term and BlockVest, a platform that uses digital identity and blockchain technology to digitize virtual assets and smart contracts to self-manage digital assets. Other notable ICO projects include AnthemGold, a project that facilitates trading of gold and other precious metals on blockchain and Bank52 that uses blockchain to create a banking ecosystem that facilitates smart data, collaboration and network effects. The last five months have seen a significant rise in amounts raised through ICOs. Approximately $13.7 billion has been raised through ICOs over this period of time compared to $5.5 billion raised in 2017. The number of ICOs launched has also increased significantly. According to CoinSchedule, 595 ICOs have been launched since January 2018 compared to 210 launched in 2017 and 43 in 2016. Unfortunately, not all these ICO projects have been successful. Data from Dead Coins and other sites that track inactive coins shows that at least 1000 coins that have been created through ICOs are no longer active. Jori Falkstedt, the CEO of GlobalSpy is quick to note that ICOs gained popularity at a very fast rate. In his view, the fast growth coupled with weak project designs could have set many ICOs up for failure. Also, as alternative methods of raising capital, ICOs have remained unregulated. This has created room for scam projects. A review conducted by The Wall Street Journal recently shows that at least 20% of ICOs that get launched are scams where owners plagiarize investor documents, use false business teams, and grandiose promises of large returns. The SEC and other global regulatory bodies have threatened to crackdown on scam ICOs, and even classified some as ‘ponzi schemes’. But this is not the only challenge that the industry is facing. There is also the problem of high expectations among investors which causes ICO companies to inflate the already burgeoning bubble according to Chris Butler, the CEO of URAllowance. On the part of the ICO companies, OptDyn’s founder and CTO, Alex Karasulu feels that delays in achieving milestones set out to guide implementation of ICO projects is also contributing to the failure of projects. Agreeing with this, Joseph Onyero, the founder and CEO of Properbuz and Bebuzee notes that most developers/entrepreneurs do not pay any attention to important columns that make an ICO. ICO projects have proven to be worth investments. Despite all the risk and challenges, significant returns can still be realized. However, to sustain investor interest in the cryptocurrency space, ICO companies need to develop real products before raising funds. In addition, Falkstedt feels ICO companies should focus on putting everything in place, just like in any other business. Emphasizing on the need to have products with a use case, Carl Kirchhoff, CEO of SportsFix notes that ICO companies also need to ensure their projects are backed by experienced teams who have solved complex problems before. 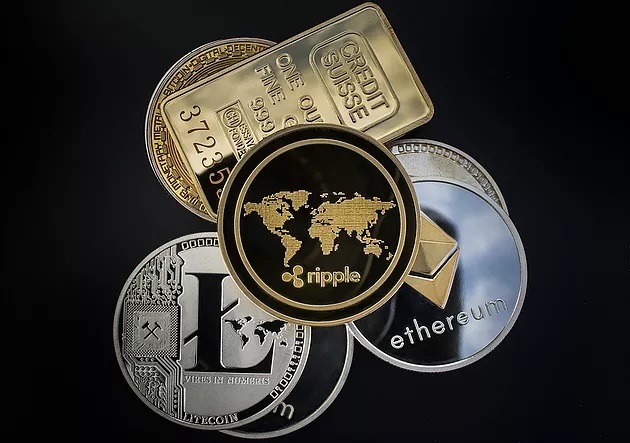 But despite cryptocurrencies coming under a lot of pressure, Butler thinks there is still a chance that coins or tokens that are currently considered dead could bounce back and that after a year, the number of dead coins will be significantly low. “It is far too early to count 1000 ICOs out of the game if they are still in development. The problem lies in the fact that these tokens are on the market the second the ICO is over but long before the company has finished building their product,” he adds.